This review has summarized the applications of neutron inelastic scattering to the study of polymers. The technique has proven useful for measuring and characterizing low-frequency intramolecular and intermolecular vibrations, particularly for those systems, such as polyethylene and the n-paraffins, for which theoretical calculations of phase-frequency relations are available. More calculations of this type, and extension of them to include the effects of departures of chain conformations from their ideal transplanar or helical configurations, are needed for an optimum application of the method. Further work is also needed on both the prediction and measurement of directional frequency distributions. 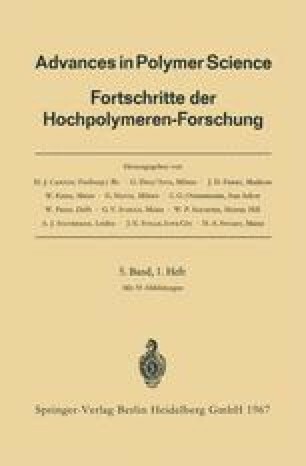 These would allow more definitive and more detailed information to be obtained on intermolecular and anharmonic forces, and on the effect of these factors on the properties of polymers.